I am currently revising and editing the material for my next book, a collection of essays going back many years, which will be published next year by Sandstone Press under the title Out There: A Voice From The Wild. Reading my words from long ago reminded me to be grateful I'd always kept journals of my trips as it is from these that my essays and books are written. 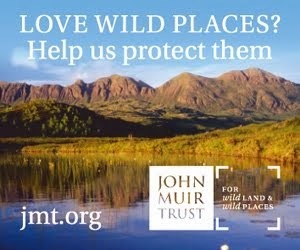 Last year I wrote a piece for The Great Outdoors about this. Here it is, slightly revised. When I was writing my book on my Pacific Crest Trail walk – Rattlesnakes and Bald Eagles - in 2014 I was describing events that took place a long, long time ago – 1982 in fact. To write the book from memory would have been impossible. Although I can remember the overall walk and specific events, places and people I can’t remember many of the details and some periods of a week and more are blanks in my mind other than very vague thoughts such as ‘there was a lot of forest’. This would not make a very interesting book! However I did keep a journal during the walk, which fills three notebooks, and this was my main source for the book rather than my memory. Without the journal there would be no book. Reading my long ago words has brought back many forgotten memories and I enjoyed reliving my walk. 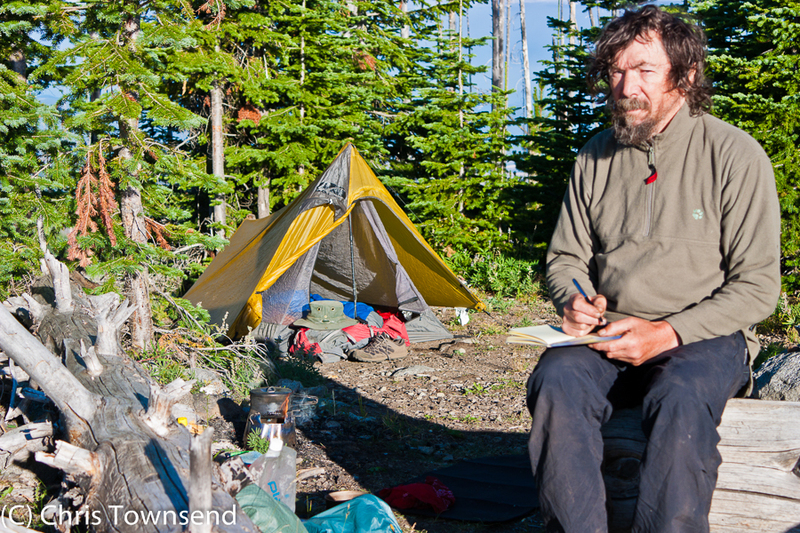 (I was also surprised I could read my writing, much of it scrawled by candlelight in the tent). I rediscovered adventures I would never have known about again if I’d written them down and found that others have changed in my memory – my words are not what I thought I remembered. There are people I’d completely forgotten but there they are in my journal suddenly coming back to life. In places I wish I’d written more, my words hinting at places and people but without enough description for me to really picture them now. Of course I have photographs too but this being back in the days of slide film rather than digital images I had to ration the number of photographs I took (my notebooks frequently express the hope that the next town will have film) and I concentrated on landscape and camping shots rather than towns or people. Today I use my camera as a notebook as memory cards are ultralight and will hold hundreds of photos. Back then a 36 shot roll of film weighed 28 grams. Ten rolls, 360 photos, meant an extra 280 grams. A memory card holding twice as many images doesn’t register on my scales. 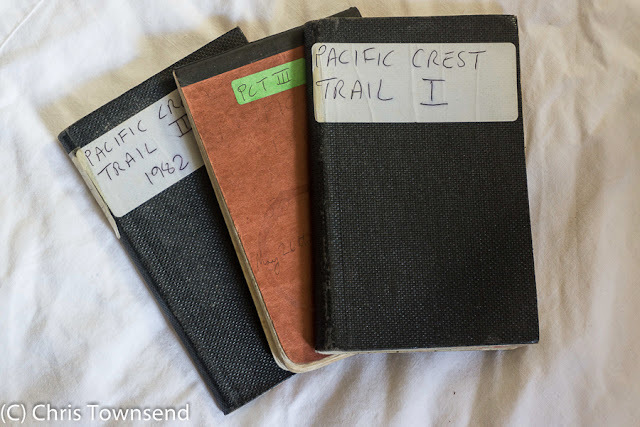 I was already keeping a journal of my walks before the Pacific Crest Trail and I’ve continued to do so. Now I have a small library of notebooks with ones for each year covering day walks and shorter backpacking trips plus separate notebooks for each long distance walk. This isn’t enough organisation to locate specific trips or specific days on long walks specific days of course. 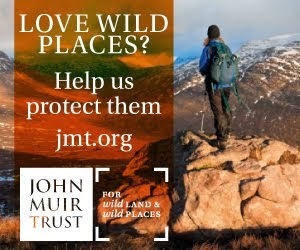 When did I first climb Liathach for example? Well, I know it must have been between 1977, when I climbed my first Munro, and 1981 when I completed my first round. That’s five notebooks, which could take a while to read through. However each one has an index for which I must thank an author whose name I never recorded and now can’t remember. Back in the early 1970s when I was starting hill walking I read an instructional book simply called Fellwalking. 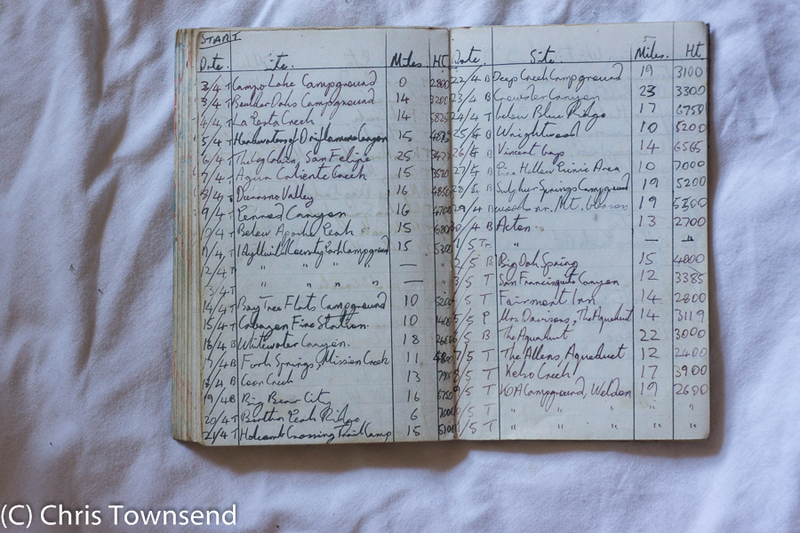 In this the author suggested keeping a chart of walks with date, route, hills climbed, weather, time and companions (this would be a spreadsheet today). I thought this a good idea and started doing so at the back of my notebooks, adapting it for different trips. This has proved invaluable. I just have to skim through these lists looking down the names of hills to see when I climbed them. And Liathach you ask? In less than a minute I found it. June 26th 1979 during a five week 100 Munros walk I did from the Loch Treig hills to the Fannichs. My weather notes say ‘thick cloud, NW wind, rain’. The walk took 51/2 hours. On long distance walks with few ascents I adapted the format and often keep two lists, one with details of days, mileage and campsites, the other with weather information. In my journal I also keep route plans, addresses of people I meet, shopping lists and any other information I want to record. It’s surprising how some mundane details can trigger memories in later years! If in doubt, write it down. With that in mind I try and write something in my journal every day on a long walk even if it’s only a brief note. When I leave it even a few days something will be forgotten. Without my journals many of my walks would have gone forever. On days like the Liathach one I took no photos and so would have no record at all. If you want to remember days out in years to come I really recommend keeping some form of record. I still use pen and paper (Inka Pen or Space Pen with waterproof ink, Alwych notebooks with ‘All Weather’ covers). I’ve tried tiny keyboards on phones and tablets and just find them far too awkward to use lying in the tent. I also prefer having an actual notebook that can be read at any time. If I’d been able to record my journal digitally back in 1982 would I still be able to read it now? I do however use my digital camera as a notebook, photographing everything that catches my eye. Often I go through these images in the evening and make notes on the interesting ones. 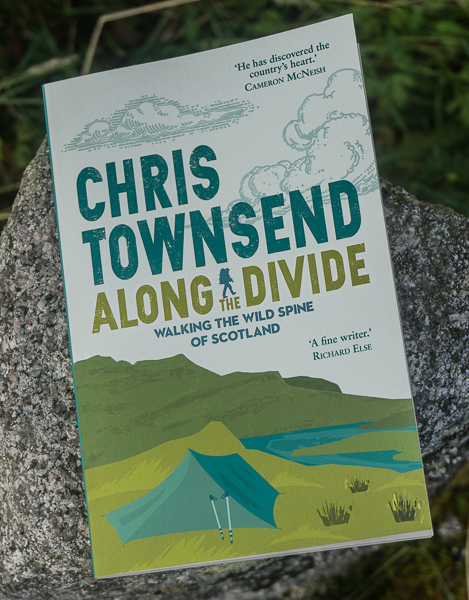 Thank you, Chris...this insight into your writing process has really added to the enjoyment I've found from reading your many wonderful books over the last few months. Maybe we'll meet on the hills one day! I'll second that. 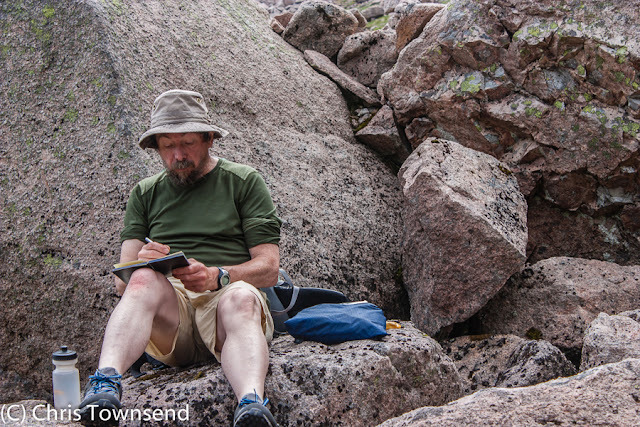 Its thanks to your notes on your walks that you can share them with us through your books. I too keep a journal of my trips. I'm currently in the Pyrenees and before I left I found the journal of my previous walk here and I will continue with updates in writing. I have a tablet, but a pen and notebook just seem more real and personal somehow. Notes in my book frequently comment on the "bad weather" from my previous visit, but also contain some funny jokes told to me by fellow hikers around the fireside (which won't be repeated here!). Its also good just to not down thoughts that we have along the trail.. Little titbits of philosophy? With our notes, we can relive our journeys in future, when perhaps those journeys become more difficult to undertake. Thanks Chris. I'll look forward to that book. We've started taking old journals on our winter trips. At night, by candlelight, dreamily listening to my wife read aloud our thoughts and observations from many years ago - my mind wanders back through the years to old trails, favourite camps and chance encounters with people I'd long stopped thinking about - the memories flood back. It is my own personal book at bedtime. Wonderful! I see you prefer pens. Any advantage over pencils? I am biased, most likely, from watching my grandfather use pencils so long ago. I find ink easier to read later as it's darker. I do carry a pencil in case my pens break or run out of ink and I only use pens with waterproof ink (Space Pens, Inka). I'd use a pencil before an ordinary ballpoint.